After fertility treatments have ended, couples often have excess embryos after an invitro fertilization (IVF) cycle. In that case we cryopreserve embryos for future use. Frozen embryo transfer is a routine practice within advanced reproductive technology (ART) clinics. During a frozen embryo transfer cycle, the uterus is prepared with both estrogen and progesterone hormones to make the uterus receptive. This hormonal preparation typically takes 3-4 weeks of time. During this 3-4 week time period, both hormone levels and the uterine lining are monitored to ensure optimal uterine receptivity. Cryopreserved embryos are then thawed and transferred back into the uterus. Approximately 80% of embryos typically will survive the frozen embryo transfer process. Embryos are dehydrated prior to freezing to minimize ice crystal formation in the embryo which causes intracellular damage. Pregnancy testing typically occurs 8 and 10 days after the embryo transfer. If high quality embryo(s) are transferred, very high pregnancy rate is achieved per frozen embryo transfer. 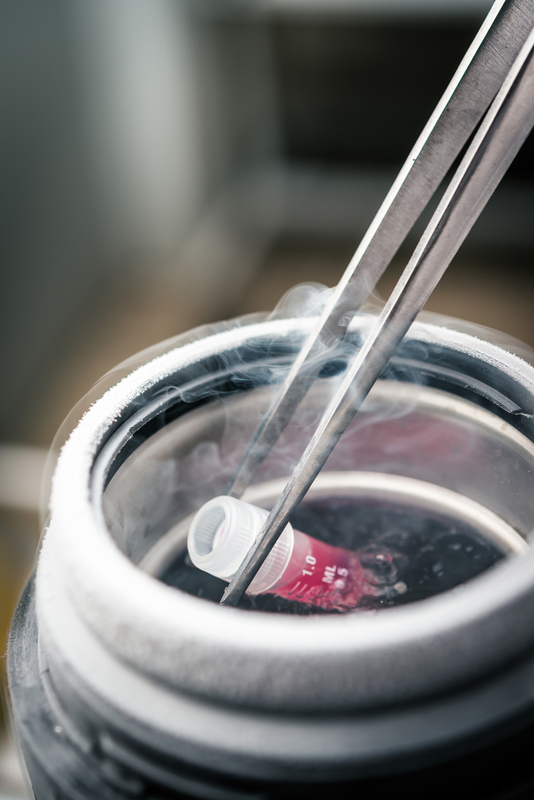 Embryo cryopreservation techniques and capabilities have become an increasingly important therapeutic strategy in assisted reproduction. About 20% of all offspring born worldwide from IVF cycles are from embryo cryopreservation and frozen embryo transfer procedures.